Has Your Rental Property Been Unfortunately Trashed By Bad Tenants? Do You Have A Vacant Property That You’d Like To Get Rid Of? Were you laid off and need to re-locate quickly? Would You Rather Not Pay Any Realtor Commissions? Are You Unfortunately Going Through A Divorce? We may be able to help if you answered yes to any of these questions. We are specialists in solving real estate problems… especially ones that pose a financial burden on you. We have been able to solve 97% of the problems your house may be causing you. 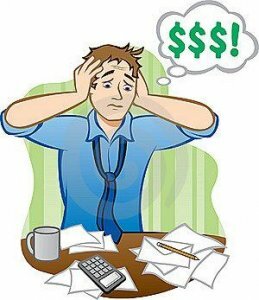 We know you may have a life you would like to get back to, and having a huge liability like a house that takes money away from your pocket month after month can be very stressful. We would like to offer a solution for which ever situation you may be facing and help you take back control of your life. You deserve to know all the possible solutions available to you right now. Very simply just fill out the form below and give us a call. We would be happy to discuss a solution for your problem, and help you sell your house in the most fastest and hassle-free possible. We’ll help you make sense of all of this confusion and we’ll present you with the options that can potentially change your life and help you get back to normal. Send us information in the form below and we’ll get back to you promptly (usually within a few hours or less) – we’ll give you a call and show you the options to help solve your current situation.